Some of the fondest memories from my adolescence involve AC/DC: cranking Highway to Hell for the first time, mimicking the Angus duckwalk in front of a mirror with an air guitar long before I ever had a real one, being banned by my mom from purchasing any more albums with that "screeching voice" on them (still not sure if she meant Bon or Brian), and then buying them anyway, along with a louder stereo... my first real guitar was even a Gibson SG. 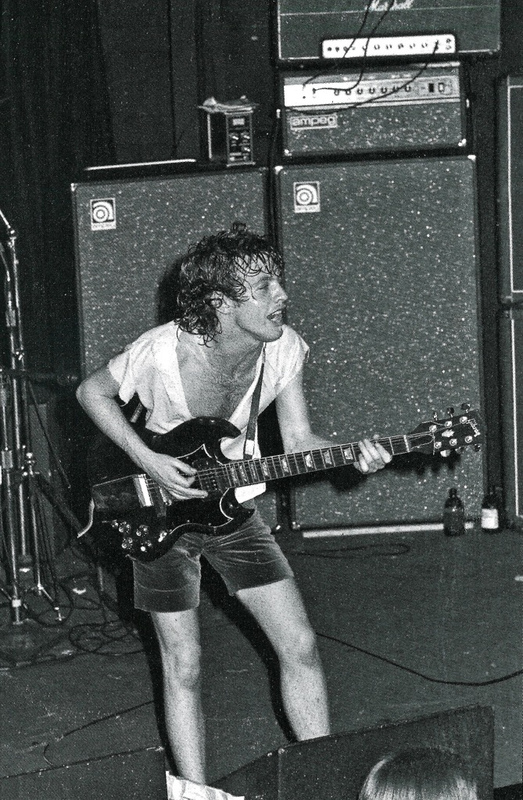 If your most impressionable years were anything like mine, you probably also believed the long-held notion that Angus and Malcolm both plugged their guitars straight into their Marshall heads, cranked to 10, with nothing in between to clutter them up; pure rock-and-roll simplicity at it's finest. While this approach certainly won't do you wrong, a secret ingredient was recently unearthed, adding an unsuspected wrinkle to this purist legend. It began in 1975, when engineer Ken Schaffer was touring America with the Rolling Stones and witnessed first-hand the limitations of wireless technology at the time... radio frequency interference, police sirens, unwanted noise, signal degradation, awkward dropouts. He then set out to create a system designed specifically for guitar, one that would avoid interference and prevent dropouts in front of thousands of screaming fans, allowing guitarists to roam the stage freely without fear of failure. 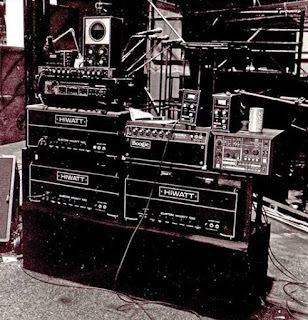 The Schaffer-Vega Diversity System (SVDS), manufactured by the Vega Corporation of El Monte, CA, was introduced in 1976, and quickly revolutionized live performance for the likes of KISS, Aerosmith, Pink Floyd, and of course, AC/DC. 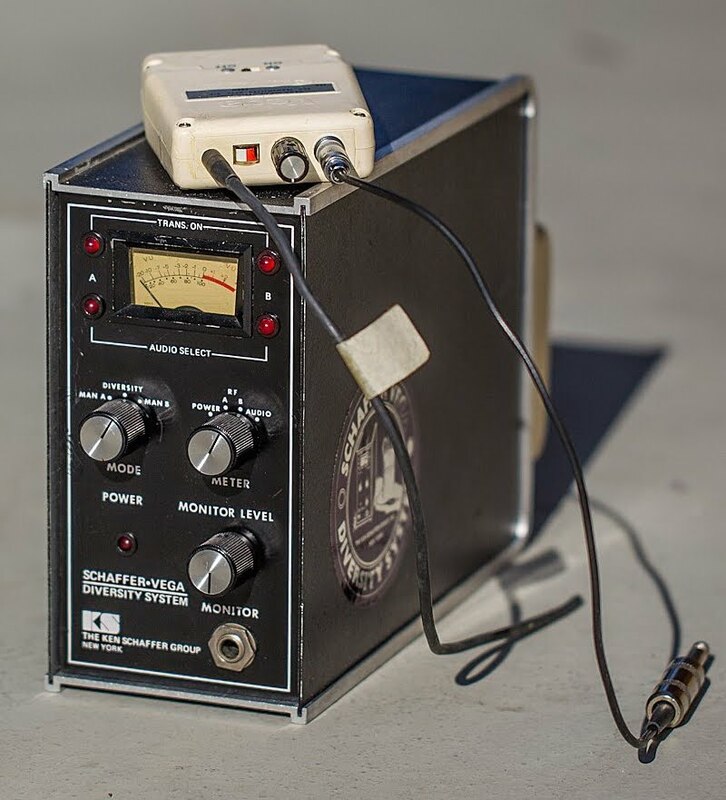 An original Schaffer-Vega transmitter pack atop receiver tower. Schaffer's new Diversity System transmitted signal over VHF frequencies and utilized two independent receivers in the same unit, with a comparator monitoring the strength of each and switching to the stronger signal when necessary in order to prevent dropouts. It worked magnificently, and became immensely popular, but the real secret in this system was the compression and expansion circuit; the belt-pack transmitter compressed the audio at a 2:1 ratio and boosted the level, enabling a beefier signal to be sent wirelessly to the receiver, where it was expanded back to it's normal dynamic range and fed to the rest of the guitar rig. 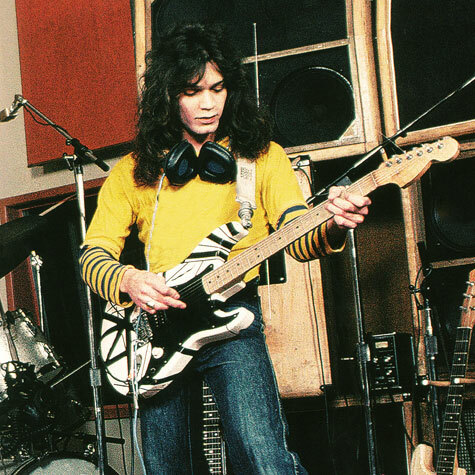 Although Schaffer intended this system to be as transparent-sounding as possible, some guitarists noticed it was not, and instead actually enhanced their guitar tone with a rich harmonic boost, so much so that users like Eddie Van Halen, Rick Derringer, and our own Angus Young used it in the studio for some of their biggest recordings (EVH fans should be just as excited, as the Schaffer-Vega may very well be the secret to the elusive VHI "Brown Sound"). As the story goes, Angus, who has eschewed any type of pedals or boosters for his entire career, began using the SVDS in the studio as early as January 1978 at the suggestion of his then-producer and older brother, George Young. Upon entering the studio for the recording of the Powerage album, Angus wasn't getting the same great tone he'd been enjoying live, and George Young suggested he use the exact same signal path as on stage, including the Schaffer-Vega; it proved to be the missing piece of the puzzle. In the studio again later that year, this time with Robert "Mutt" Lange producing, he kept the same signal chain, and the classic Highway to Hell recordings followed. In 1980, the band travelled to Nassau in the Bahamas with new lead singer Brian Johnson to team up with Mutt Lange once again for a new album, and the Schaffer-Vega was an important part of the process; recording engineer Tony Platt recalls using the wireless system to feed different amps in different rooms of the studio, which were blended together based on the song or section. Later, when some overdubs were required during the mixing stage at Electric Lady Studios in New York City, the SVDS unit wasn't available, and the team struggled to match the tone without it, particularly the midrange edge it added. 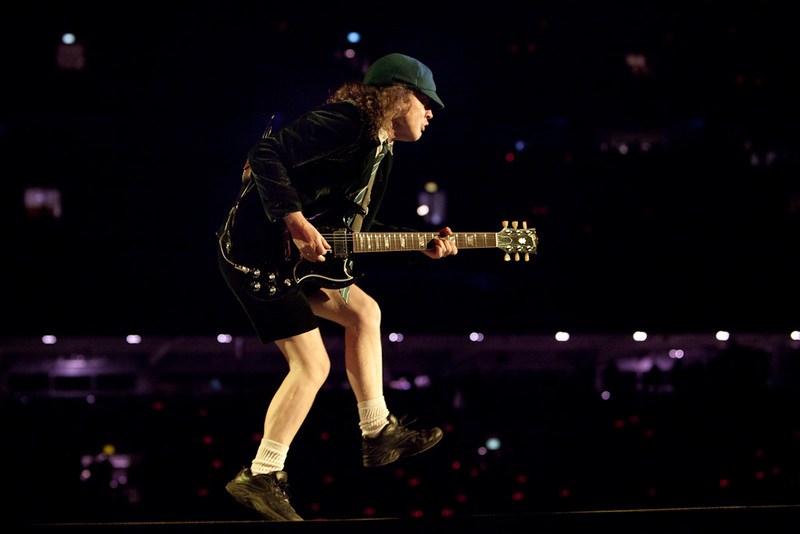 They made due as best as possible, and upon completion, Back In Black become one of the biggest-selling albums ever, an instant classic, and Schaffer-Vega helped cement that guitar tone as a huge part of rock-and-roll history. with a pair of SVDS units, circa 1980 (right). Having built approximately 1,000 units, used by every big-name touring act you could think of at the time, Schaffer ceased building the SVDS in 1981, as his interests had grown larger, towards satellite communications. The FCC also clamped down on RF usage shortly thereafter, rendering the wireless aspect of Schaffer's design obsolete. 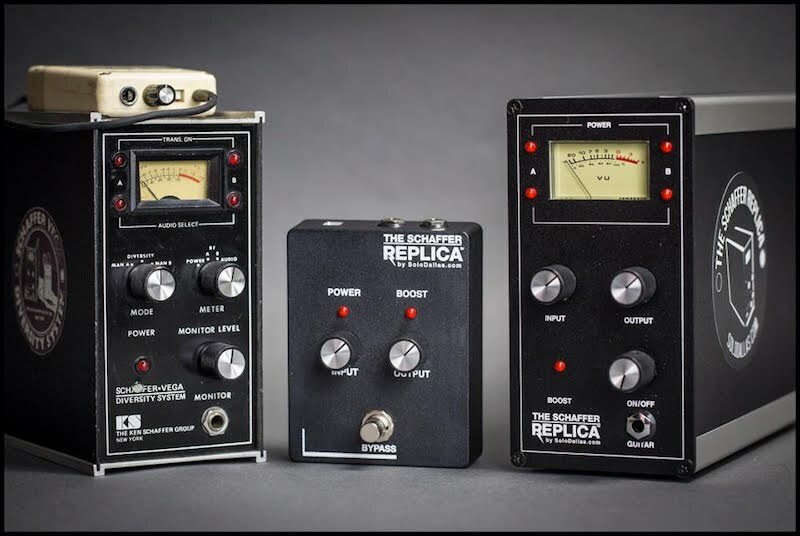 Wireless systems would evolve and improve tremendously over the decades, but none would have the impact on guitar tone that Schaffer's original design inadvertently achieved. 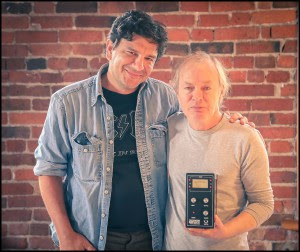 The secret of the Schaffer-Vega system went largely undocumented for three decades, until just a few years ago, when lifelong Angus Young tone-seeker and gear collector Filippo "SoloDallas" Olivieri came across an ancient Guitar Player interview, circa-1980, where Angus mentioned using the wireless in his recording chain. Thinking it odd to include something so specific to the live stage in an interview about recording an album, Fil had to investigate; He contacted Ken Schaffer, and asked if he could possibly send him an original unit to test. Schaffer, equal parts shocked and flattered, obliged, and sent Fil the two remaining original units he had held onto as mementos from 1981. Fil fired one up, along with a meticulously-chosen Gibson SG and Marshall Plexi pairing, and that was it... instant Back in Black Angus. Thirty years of tone seeking for Fil had come to an incredible climax. With blessings from Schaffer, Olivieri funded the reverse-engineering of the units by an Italian engineer, and out of his own pocket, had an audio-only (no need for wireless) prototype manufactured to replicate the tone of the original Schaffer-Vega's compressor/expander and level boost circuit. Appropriately named the Schaffer Replica, model #001 went directly to Angus Young himself, as Olivieri was invited to meet him and deliver it personally while AC/DC were working on a new album in Vancouver. 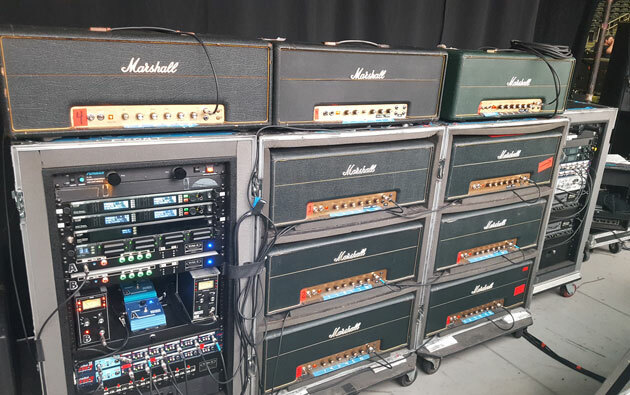 Angus currently uses two Replicas in his live rig, a main and backup, and the client list is growing with some of the biggest names in the industry, including Aerosmith's Brad Whitford, the Foo Fighters, Ronnie Wood of the Stones, and Sting, among others. The Schaffer Replica is available for purchase at Olivieri's site, along with a pedal version and a few other Angus-inspired products. Original SVDS, Replica pedal, Replica tower. 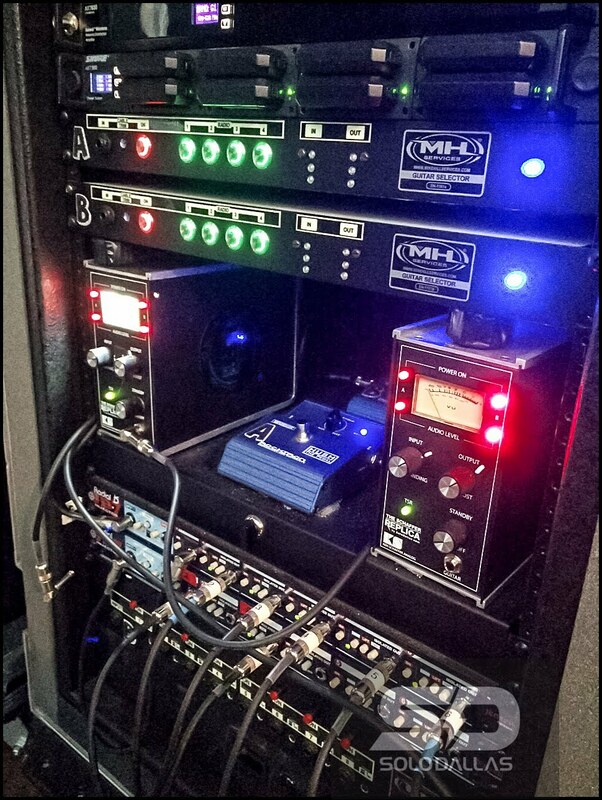 Angus' current touring rig, sticking to his roots with 9 vintage Marshalls and a pair of Replicas in the left rack. Makes sense. 2:1 compression, a little midrange eq mojo before the amp so, you've got this compound compression soup going on. The amp is adding compression from the tubes, harmonic content from the transformer, the beautiful speaker breakup, nor add a 57 and this creates a little more compression (believe it or not)...The mic amp is adding it own "color" (compression from it's circuitry, not to mention many possible pedals/outboard gear Before it hits the tape or, the digital box. Dirt guitars, LOVE compression. Forget about plugins, this is how you do it. Make it sound great coming out of the amp, then, "take a picture of the sound."